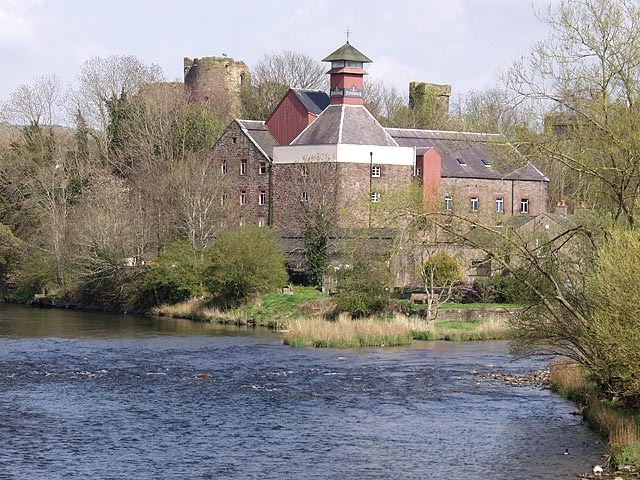 Take a trip around Cockermouth�s brewery. 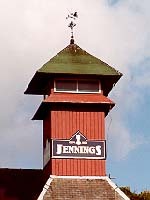 Jennings have been brewing traditional beers for 160 years, and still use the same traditional methods that were used by their founder as long ago as 1828, in the village of Lorton. 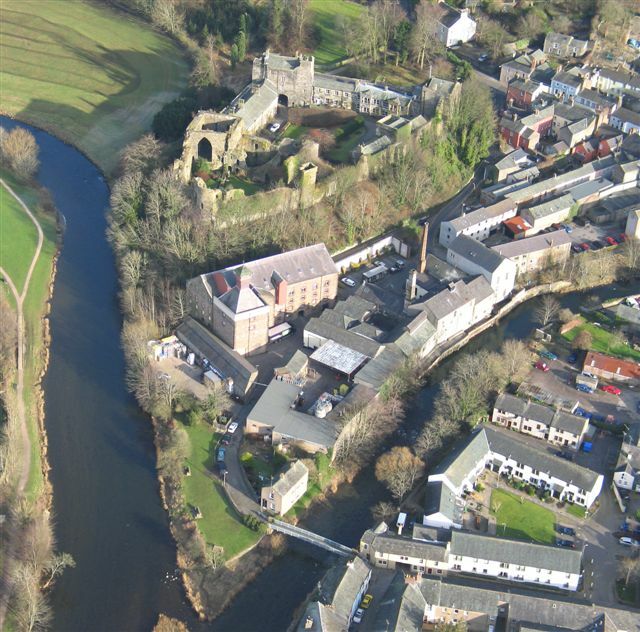 In 1874 the brewery moved to a site at the foot of Cockermouth Castle, at the confluence of the River Cocker and River Derwent, a site which was influenced by the availability of pure and plentiful water from the Castle well. The well has supplied the Castle with pure water since around the time of the Norman Conquest, and helps to give Jennings ales their distinctive flavour. 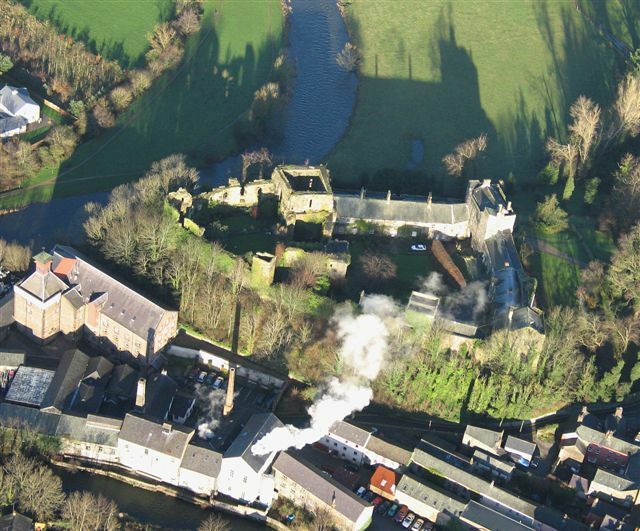 Jennings is Cumbria�s last remaining brewery, and has a policy of continuing to use the traditional, time-honoured brewing methods using only the finest, British-produced raw materials for which the Company has long been famous among knowledgeable beer drinkers. The vast majority of Jennings� ales are sold in cask-conditioned form - �Real Ale�, the main characteristic of which is that the brew is �still alive�, and continues a secondary fermentation after it is casked. A one hour tour takes you round the Jennings Brewery, explaining such intriguing brewery expressions as Hop Back and Mash Tun. 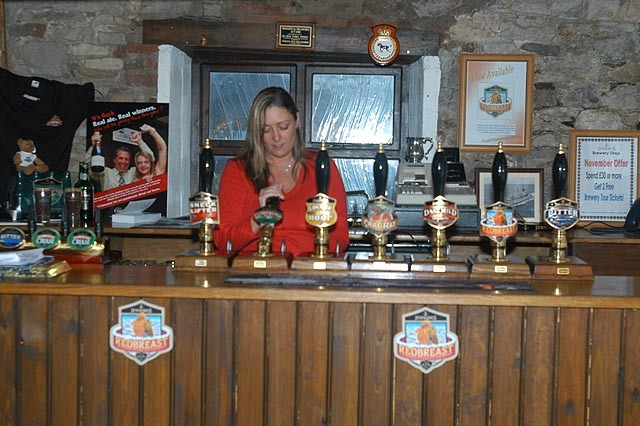 The tour is completed in the best way possible with the chance to sample some ale, the famous Jennings Bitter noted for its malty taste, Cocker Hoop, Cumberland Ale or the strong Sneck Lifter. Pure water is drawn from a well within the brewery, giving the beer its distinctive taste. Barley is bought in which has been soaked, germinated (sprouted), then dried and/or kilned/roasted to arrest further growth. It is then screened and crushed rather than ground to flour, in order to keep the husks as whole as possible. In the �mash tun� the crushed barley is added to heated, purified water and, through a carefully controlled time and temperature process, the malt enzymes break down the starch to sugar and the complex proteins of the malt to simpler nitrogen compounds. The �mash� is then transferred to the �copper� or �brew kettle� where the hops are added, and the liquid boiled for about two hours. 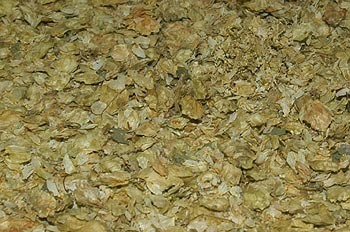 The hop resins contribute flavour, aroma and bitterness to the brew. The �wort� is seperated from the hops in the 'hop-back�. After the beer has taken on the flavour of the hops, the wort then proceeds to the �hop-back�, where the liquid, now called �wort� is seperated from the hops. 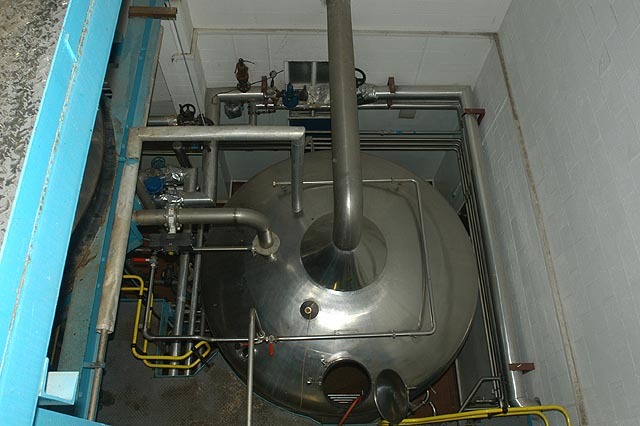 The wort is then cooled in a simple-looking apparatus called a �plate cooler�. The wort is then moved to the fermenting vessels and yeast, the guarded central mystery of ancient brewer�s art, is added. It is the yeast, which is a living, single-cell fungi, that breaks down the sugar in the wort to carbon dioxide and alcohol. It also adds many beer-flavouring components. Elaborate precautions are taken to ensure that the yeast remains pure and unchanged. 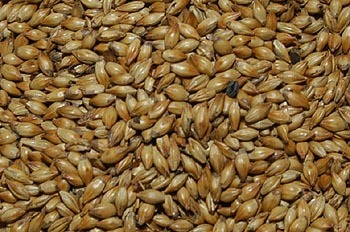 Through the use of pure yeast culture plants, a particular beer flavour can be maintained year after year. During fermentation, which lasts about seven to 10 days, the yeast may multiply six-fold and in fermenters a creamy, frothy head may be seen on top of the brew. When the fermentation is complete, the yeast is removed. Now, for the first time, the liquid is called beer. 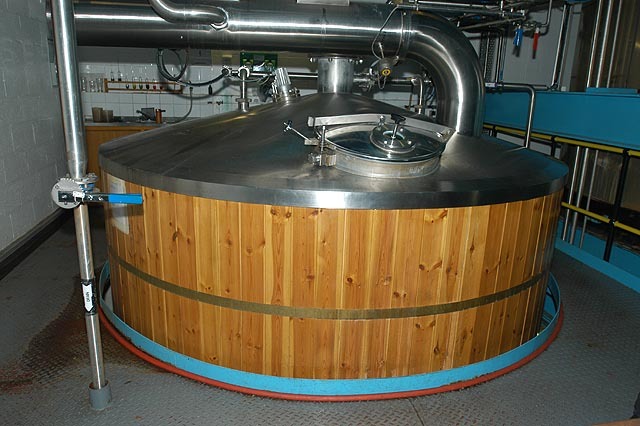 The beer is stored cold and then filtered once or twice before it is ready for bottling or �racking� into barrels. Now time to test the beers. After the tour, there is the chance to sample some of the beers, and there is a shop selling various products from the brewery, and other items of Jennings merchandise. Jennings are sponsors of various sporting and cultural events, including the Kirkgate Centre in Cockermouth. The brewery and the castle. Also the mouth of the River Cocker as it meets the River Derwent.